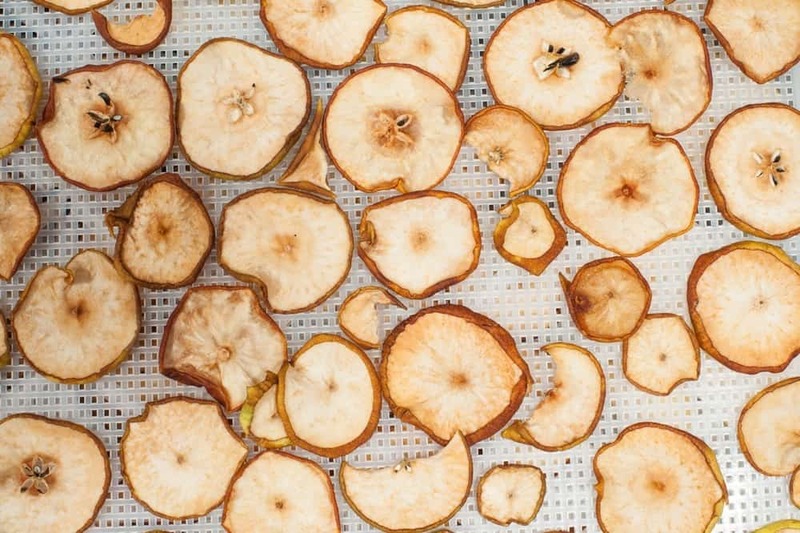 is designed to dehydrate a variety of food items. It has a top-mounted fan and a thermostat that can adjust to a wide range of temperatures to facilitate the drying process. Because of its great capabilities, there is no need to rotate the trays as the food items will dry right through. 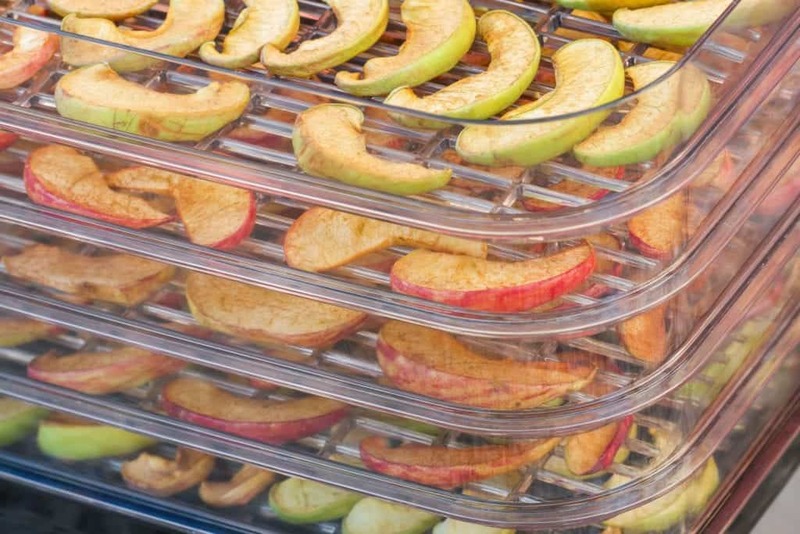 When purchased in its original packaging, there are 5 trays on which to place food for drying. The unit is very portable as it only weighs 6 pounds and has dimensions of 13 x 13 x 10 inches. You also have the option of expanding the unit by adding up to 7 trays by purchasing other compatible trays. 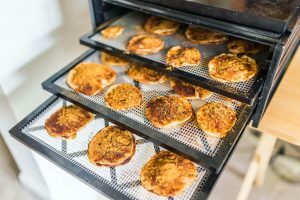 With a top-mounted fan, the Nesco Snackmaster Pro Food Dehydrator FD-75A eliminates the need to worry about liquids dripping into the heat chamber. It has a patented Converga-Flow drying system that forces air down the exterior pressurized chamber, then horizontally across each individual tray, converging in the center, for fast, even, and nutritious drying. The device also boasts expanding capabilities as it can contain up to 12 trays, although it is sold with 5 trays. Apart from the dehydrator itself, you can expect other bonus items in the package when you receive your Nesco Snackmaster Dehydrator. 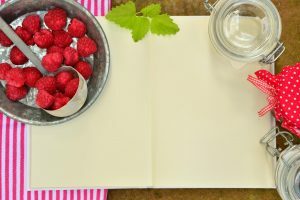 They have included a 52 page recipe and instruction book as well as 3 original jerky spice packets so you can make your own jerky. This dehydrator also helps prevent loss of valuable nutrients by blocking harmful lights from entering the units. Its portability is also worthy of mention as it can easily be moved around since it is very lightweight. 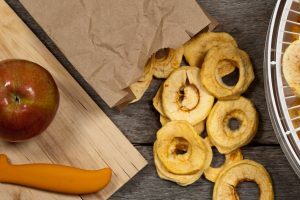 Now that you know the features of the Nesco Snackmaster Pro Food Dehydrator FD-75A, you also need to know what else is on the market so you can make an informed choice. 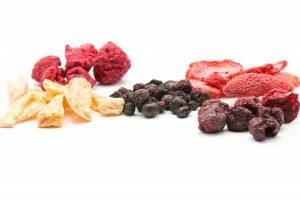 There are actually many brands and sizes of dehydrators and two comparable models will be looked at now. 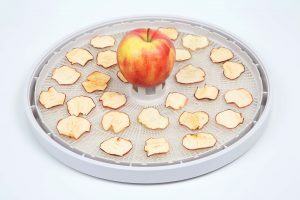 Another 4-tray dehydrator is the Excalibur 2400 4-Tray Economy Dehydrator. It is black and is an economy model. It has an adjustable thermostat and tray inserts that are easy to clean. It has a 4-inch fan, requires 220Watts of power, and has dimensions of approximately 16 x 13 x 7 inches. 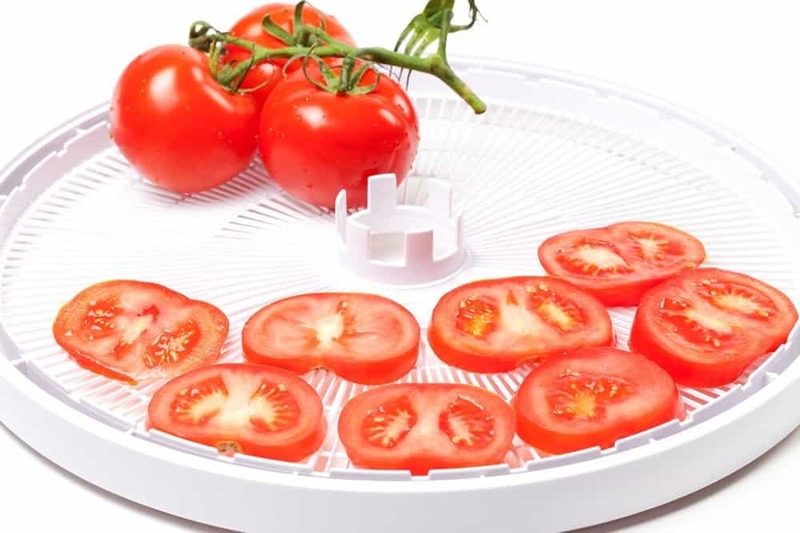 It is much more expensive and also 2 pounds heavier than the Nesco Dehydrator. 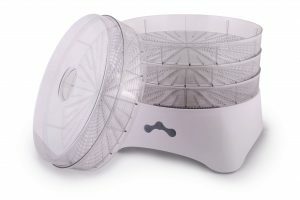 Also available for purchase is the Aroma Professional 6 Tray Food Dehydrator. It is also sold in black and has 6 removable racks. There is an automatic fan for drying the foods and the thermostat can be adjusted from 95 – 155°F. With a weight of approximately 12 pounds and approximate dimensions of 18 x 14 x 14 inches, it is the most expensive of all three products. Now that the features have been explored, you can make a more informed choice. If you consider carefully, you will realize that the best product to buy is the Nesco Snackmaster Pro. 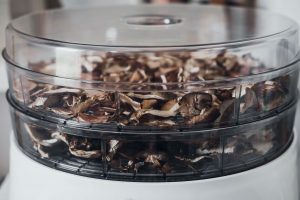 Whether you are thinking you may want to expand the amount of trays at a later date or you just want a very reliable dehydrator, the choice is clear. 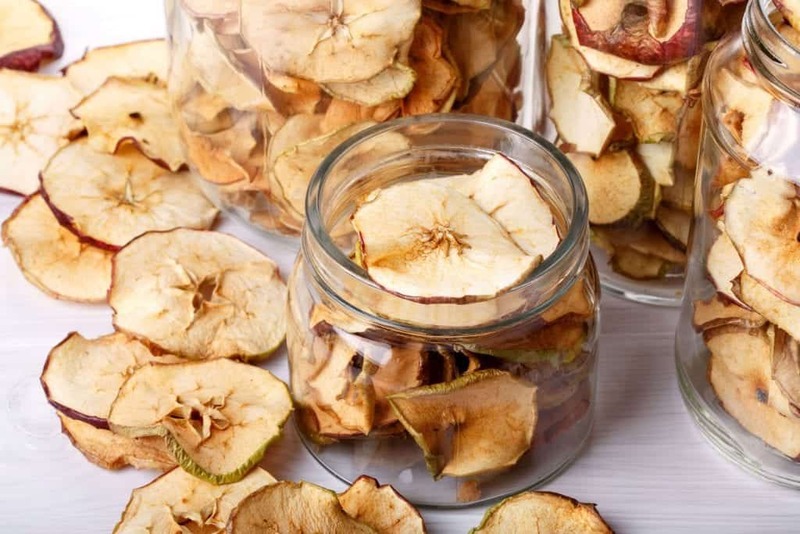 For more than one reason, the Nesco Snackmaster Pro Food Dehydrator FD-75A is a very good buy. Yes, you are getting very good value for your money, and yes, you are getting a very efficient and functional product, but you are also getting a wider range of temperatures for drying and a very portable device. It also comes in frustration-free packaging, which is a nice little bonus. 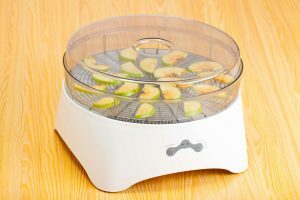 Whether you want to dry herbs, spices, meat, fruits, vegetables or even potpourri, the Nesco Snackmaster Pro Food Dehydrator FD-75A has shelving that is suitable. This dehydrator is a premium product at a very reasonable price.